Set in the 1970's in the North, this books focuses on a group of people working at a radio station. I've mentioned many times how like books that character focused, which this book is. The reader learns about the different characters, how they came to work at the radio station and their relationships with each other. 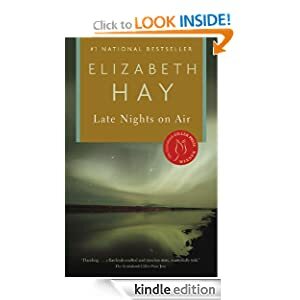 While this books is by a Canadian author, set in the Canadian North and focus on a CBC radio station, I truly believe that any fan of literature will like this book and find it appealing. While it is a Canadian book, people and relationships are universal, making it easy for everyone to relate to the characters and storyline. I love this book and each time I read it, I pick up on something new. I found it to be a captivating read, spending hours with this book and never wanting to put it down. I had never heard this song or of this group before. I really enjoyed the song and haven't heard anything like it before. BODY- Like practically everyone else, I am addicted to Pinterest. Last week, I came across a pin that originated from Souls Never Wrinkle. I had no idea, but marshmallows were originally created to treat sore throats! So, if you have a sore throat, eat marshmallows. I have no idea if this works...I've yet to have a sore throat since finding out about this. Check out Soul Never Wrinkle for more ways to relieve a sore throat. P.S. 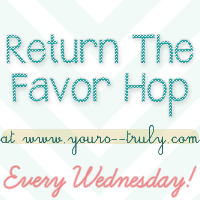 Join the Return the Favour Hop....this week is Twitter accounts.